Most of you must have heard of Stonehenge which is an iconic and a prehistoric monument and one of the world’s famous sites located in Wiltshire County, England. 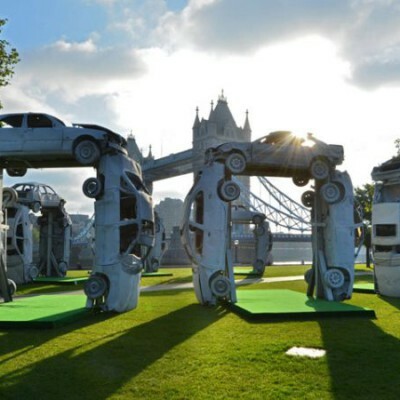 However you might not have heard of Citihenge, have you? Let me tell you what it is. 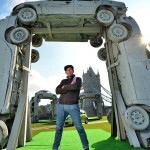 It is a Car Henge sculpture created by artist Tommy Gun and it is the exact replica of Stonehenge. 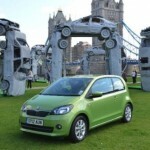 This project is commissioned by Czech auto maker Skoda for the promotion of their new Citigo car. 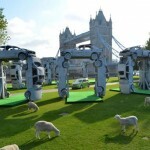 The replica of the stone circle is made by using 18 scrap cars and weighs about 36 tons. It took three months for Tommy to create the sculpture which stands five meter tall and can withstand a hurricane of Force 12. 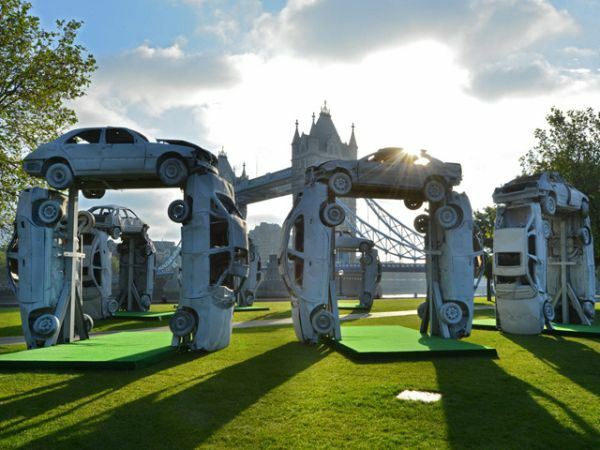 This one of a kind a unique sculpture was unveiled just in time for the summer solstice and is currently in London’s Southbank at Potters Fields and will be taken for a nationwide tour.